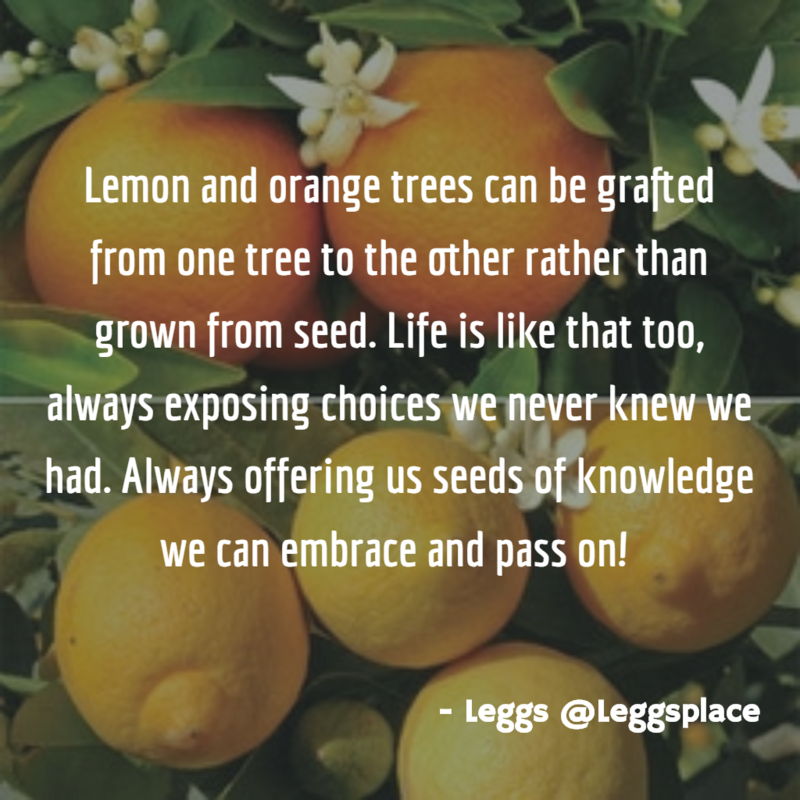 Lemon and orange trees can be grafted from one tree to the other rather than grown from seed. Life is like that too, always exposing choices we never knew we had. Always offering us seeds of knowledge we can embrace and pass on!